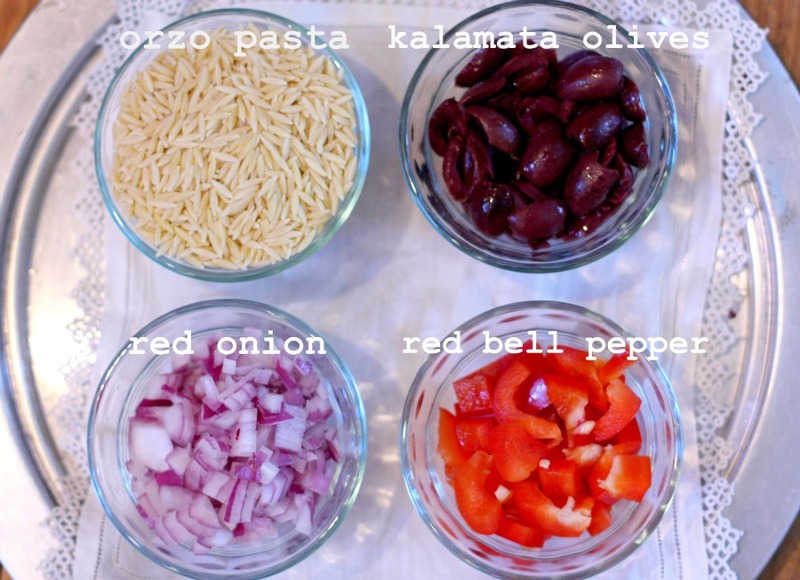 One of my favorite dishes of all time is Greek Orzo Pasta Salad. Its one of those dishes I can eat everyday. This time I wanted to change it up a bit. 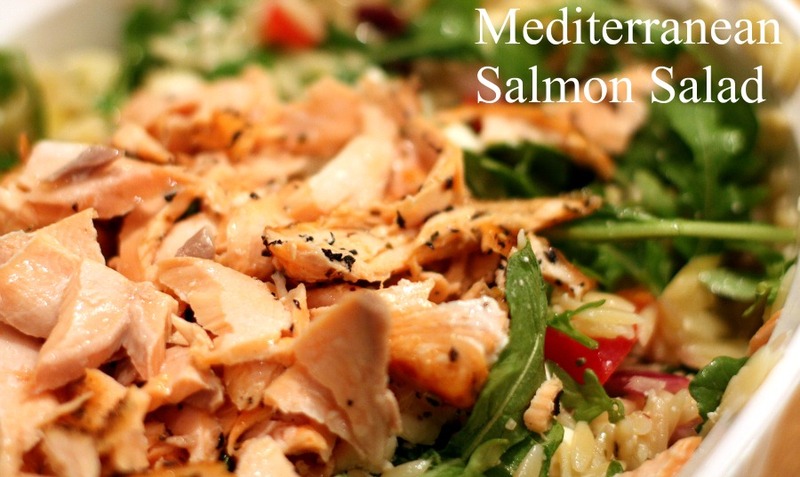 After surfing the internet for hours, I finally came up with this Mediterranean Salmon Salad. Its healthy, light, and super easy to make. & finally, 3/4 pound fresh salmon filet. First thing you wanna do is make the dressing. 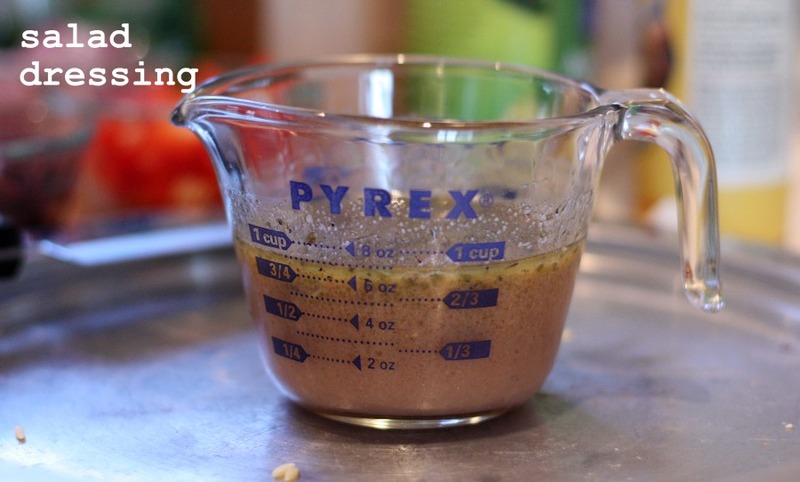 For this recipe I decided to use Becky’s dressing (its delicious). 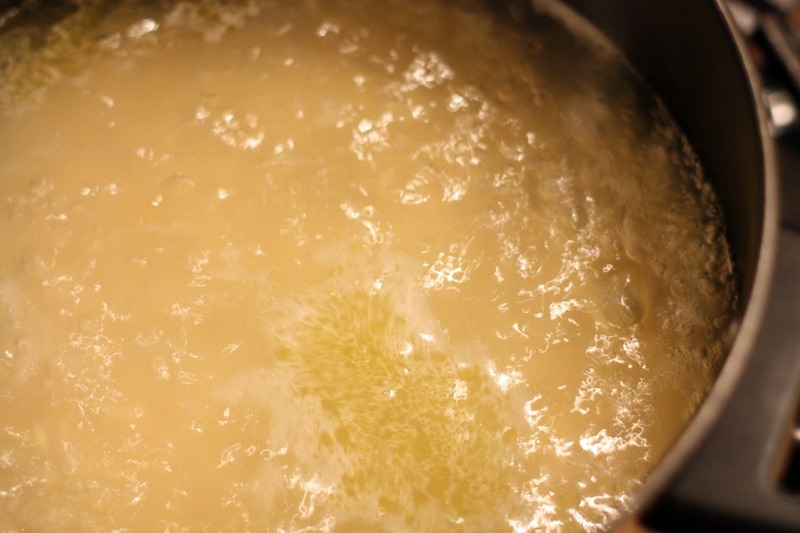 Its good to make it ahead of time, that way the flavors have plenty of time to develop. Next you want to place the salmon in the broiler for 10-15 minutes, or until the center is cooked. 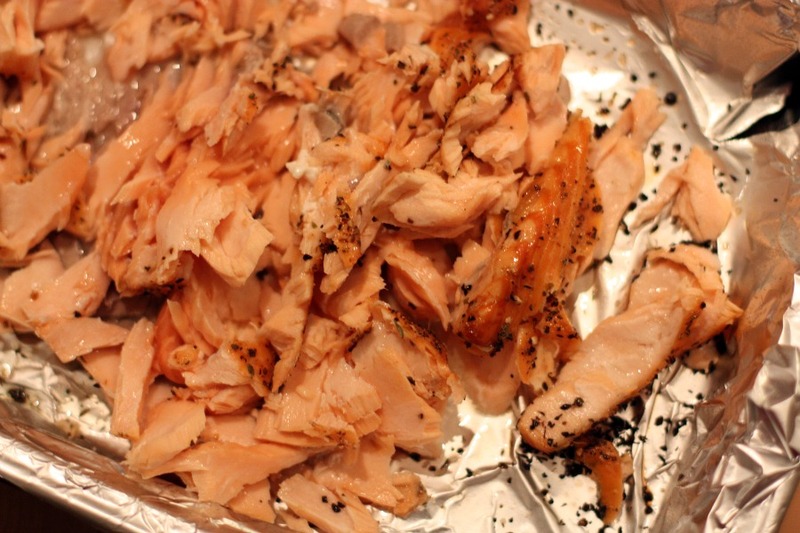 Once the salmon is cooked, you want to flake the salmon using two forks. I love how crispy the outside gets when salmon is broiled! The final step is too assemble the dish. 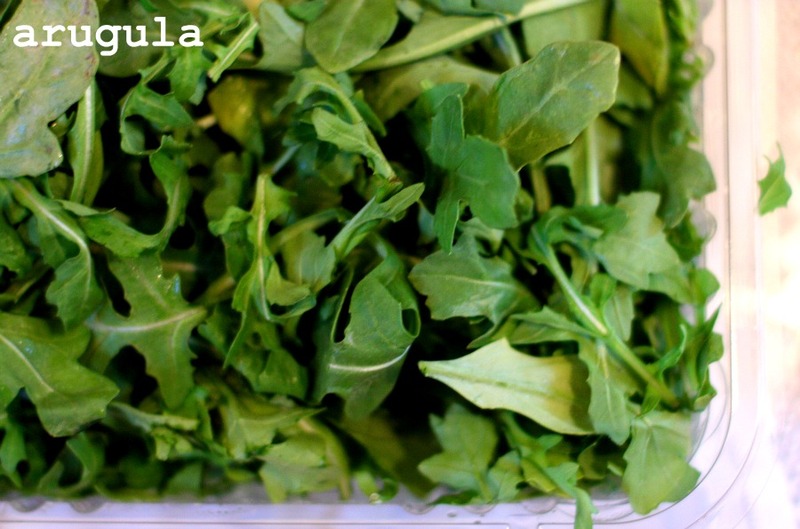 To the orzo, you want to add your kalamata olives, artichokes, red onions, red bell peppers, feta, and arugula. 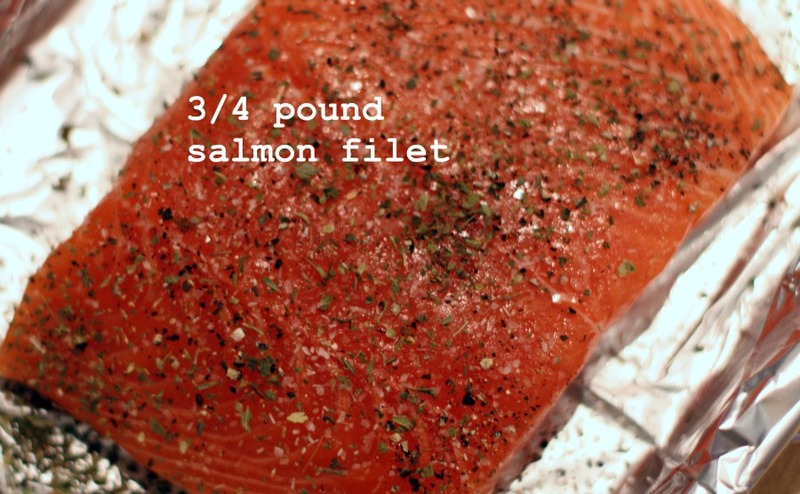 Using a forked spoon, gently fold all ingredients together and top with salmon. 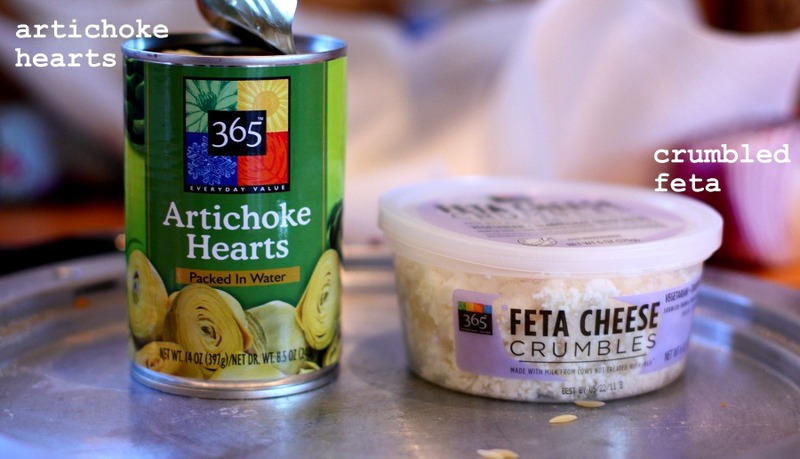 Serve with the dressing on the side that way dinner guests can add however much they need. 8) Top with flaked salmon & serve with dressing on the side. I’ve gotten many emails asking if she eats the same dinners we do, or if I make a separate meal for her. I’m a firm believer in only cooking once and not becoming a short order cook. I always have her picky palate in mind when I’m creating a meal. For meals like this I normally serve her a deconstructed version of the meal, and on the side I have a little bowl for her with the complete meal that way she can try it if she wants. 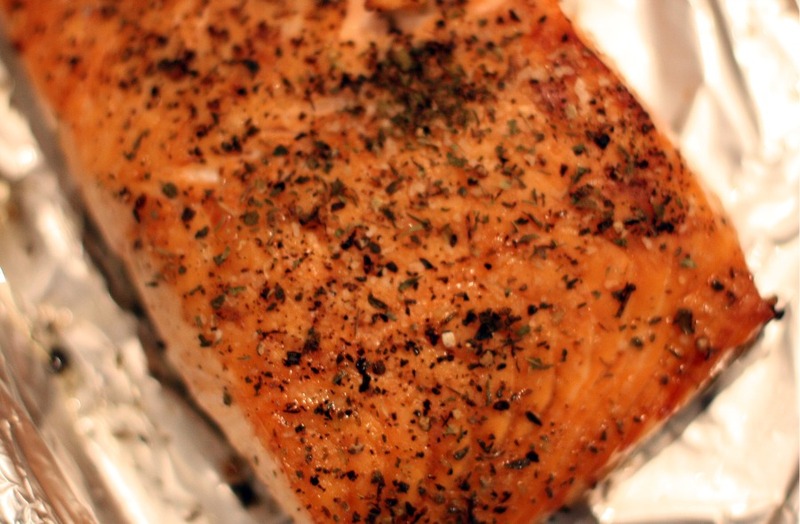 i’m totally drooling…the salmon looks perfectly cooked! That looks so good- and perfect for a ladies’ brunch I’m holding soon! 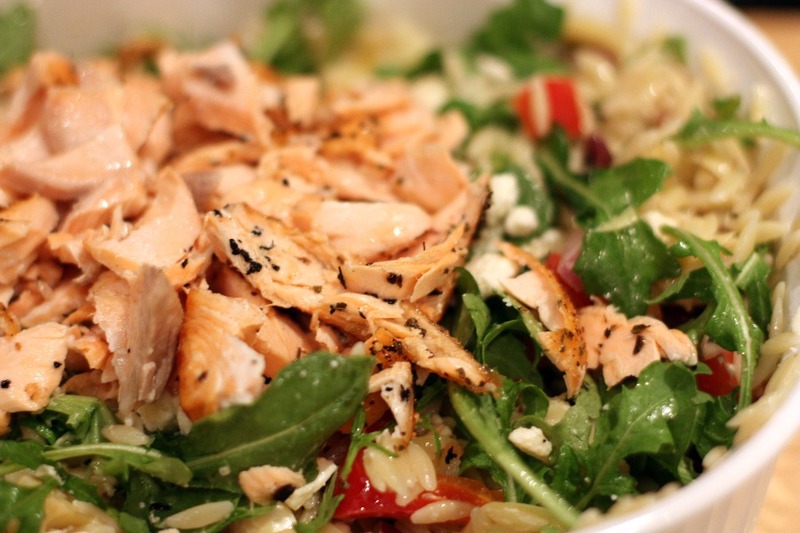 I love Greek and Mediterranean salads but salmon makes it seem more special! looks delicious! Yeah, getting into being the short order cook is tough. I am finally out of that. This looks delicious Estela! YOU are MY HERO for getting M to eat what you eat. It’s the one regret I have in raising my daughters and if I could do it all over again, I would NOT make seperate meals for everyone! Husband included!! LOL! This looks so good! I love all of it (OK, minus the onions). I’m with Marisa–you get bonus points for getting your daughter to eat salmon. As a kid, I would never have touched it. The end product looks divine but I must say that I a just in awe of ALL the photos! You are an amazing photographer. This is like all of my favorite things!! Delicious! I want this right now! Yum – so light and refreshing. Exactly what I need after the holidays. 🙂 Thanks for sharing! Estela that salad looks fabulous! 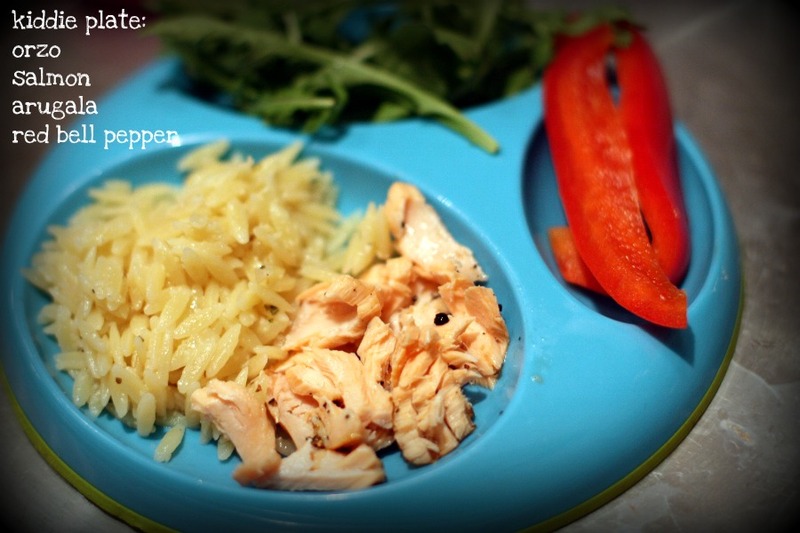 Ava loves salmon as well, so this is perfect for our whole family. Wow! This looks super good even though I’m pregnant and don’t like the idea of fish. And I really could have used that salad dressing recipe last summer when I had a party and made a pasta salad that needed a better dressing. Thanks for the idea!